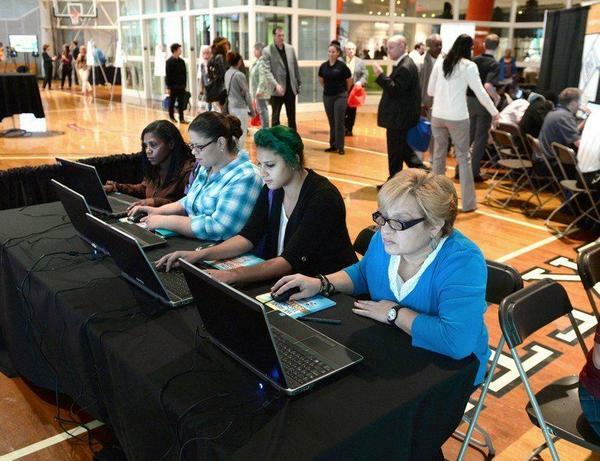 People looking to get a job at MGM Springfield use the computer to match their skills to potential jobs, during a career fair in October 2014. Of the 762 employees on staff as of last week, MGM is a few percentage points behind its target of minorities making up half its workforce. It's also short of its 50 percent goal for women. MGM Springfield President Mike Mathis said that's in part because of which employees were brought on early. "We had to on-board what is typically a more male-dominated department, such as security," he said. "We have to change that, though," Massachusetts Gaming Commissioner Gayle Cameron said, calling for more hiring of women in security positions. "Women are great at diffusing the situations." Cameron is a former deputy superintendent with the New Jersey State Police. Mathis said MGM is "making strides" on that. He said the percentage of women in MGM's workforce will go up as more employees begin their work. "Some of the other departments are more -- customer service, marketing related -- where women are more represented, is where we're seeing more of the pickup," Mathis said. 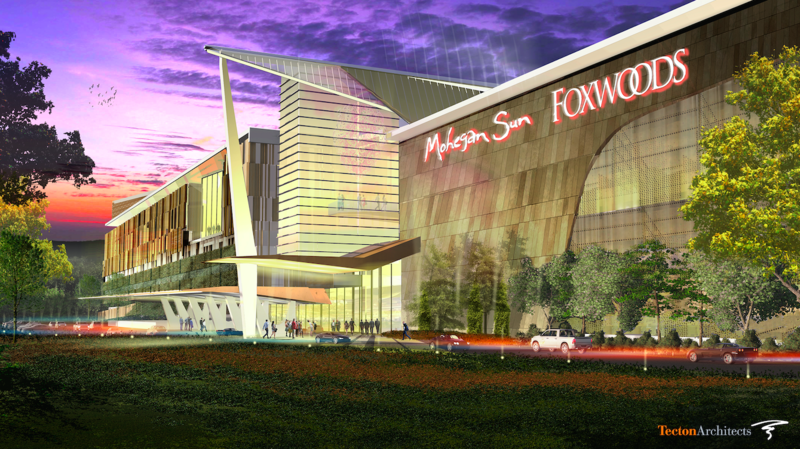 Meanwhile, MGM said it's ahead of its target of hiring 35 percent of its workforce from the city of Springfield, and well ahead of its 2 percent goal for military veterans. The company could not immediately provide a breakdown of percentages of full-time hires who are women, minorities, Springfield residents or veterans. 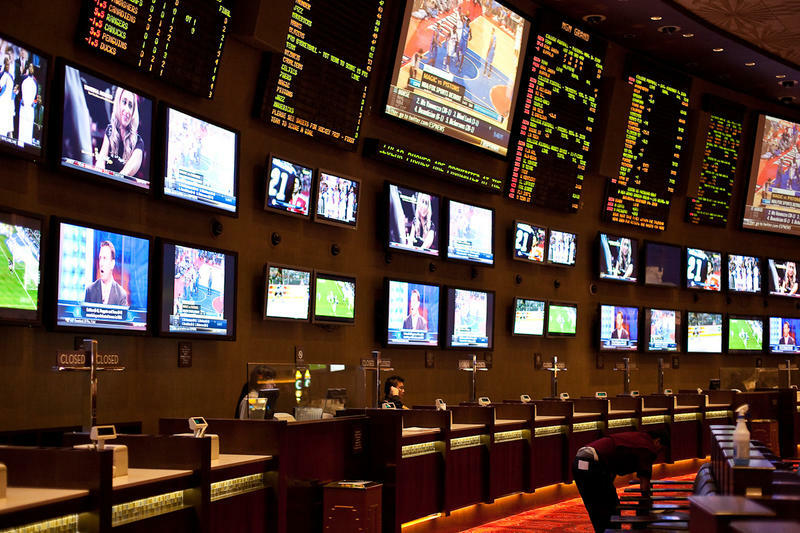 The numbers presented to the gaming commission are for "active employees," which could also include part-time and on-call hires. Those part-timers will make up a significant portion of MGM Springfield's workforce after its August 24 opening. Mathis told the commission the company projected 2,229 employees would work full-time, 506 part-time and 266 on-call. "We think the business volumes are such that we'll not only need all of those full-times, but we'll convert a lot of the part-times into full-times, and then the on-calls into part-times. So that's the ideal evolution of all those employees," Mathis said. "And some of those folks don't want full-time, and that's a little bit of what's going on in that market." Last week, MGM announced its construction workforce continued to exceed hiring goals. About a fifth of of the work had been completed by racial or ethnic minorities, well ahead of ahead of the goal of 15.3 percent set before work began. The company also said it's also exceeded goals for women and veterans. Adam Frenier contributed to this report.